This is a big week for product announcements. Aside from the Intel Xeon Scalable launch, we also had news of AMD Threadripper, essentially half an EPYC. From AWS we have a new GPU compute instance type. 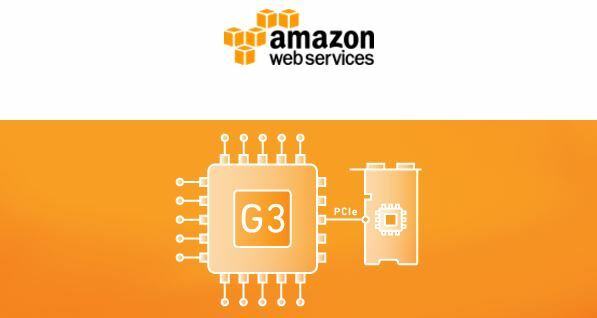 We were slightly surprised by the AWS G3 instance launch as it is now using thoroughly last-generation technology. In terms of CPUs, the new EC2 G3 instances are using Intel Xeon E5-2686 V4 CPUs. Those are from the Broadwell-EP generation launched in 2017. We have seen another major cloud provider, Google, have the new Intel Skylake-SP start rolling out about five months ago. The flip side is that these machines are not meant for CPU compute. Instead, they are meant for GPU compute. The g3.4xlarge gets a single NVIDIA Tesla M60 GPU and these machines can scale to four GPUs in the g3.16xlarge flavor. When AWS says one gets a GPU they do not mean a full Tesla M60. Instead one gets half a M60 card or a single GPU in the g3.4xlarge instance and two cards (4 GPUs) in the g3.4xlarge instance size. It is clear that these instances are more meant for VDI types of environments since that is the main focus of the Tesla M60. 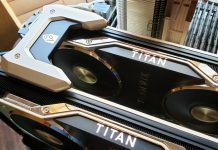 Still, a new Maxwell generation instance when we expect the ulta high-end range of Volta V100 to start delivery late this quarter and in Q4 2017 based on the NVIDIA GTC 2017 Keynote: What you need to know and the Tesla V100. That means these new instances are about two generations of architecture behind. While that is fine in the VDI market, we expect many data scientists would have preferred to see new Pascal-based instance type this late in the cycle. Alas, AWS has proven that it has a solid grasp on what its customers want. If it can serve its demanding user base using Intel Xeon E5-2600 V4 Broadwell-EP parts, and generation old NVIDIA Maxwell GPUs, then those building their own IT infrastructure may want to take note as well. You can read more about the new AWS EC2 instances here.